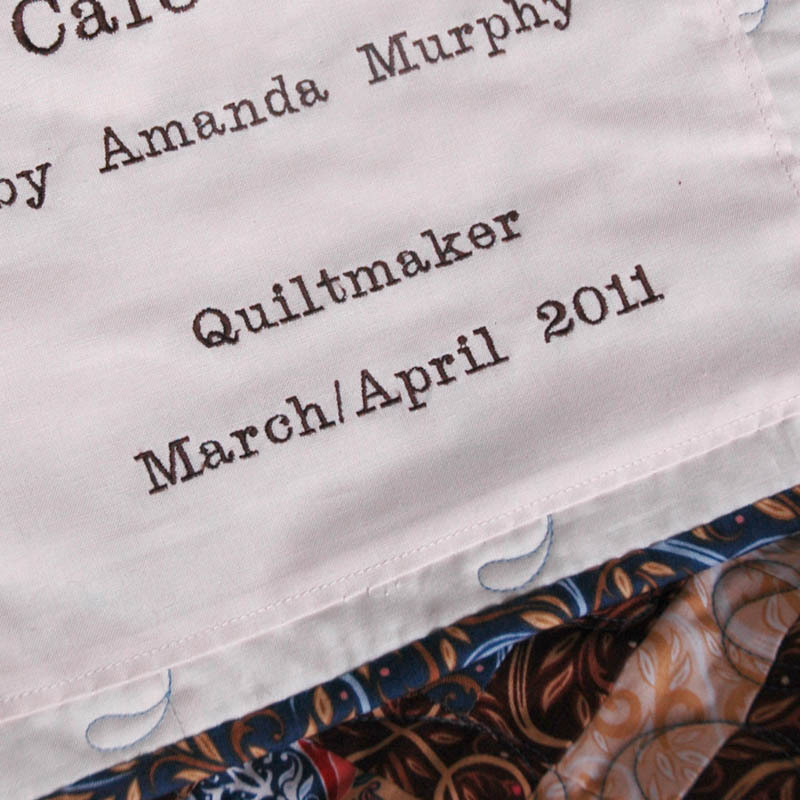 I stand accused of making some "seriously girlie quilts" lately. Have any of you ever been accused of so heinous a crime? I can't help it! The flowers call to me! My accuser, the young man pictured in the Uncle Sam hat a couple of posts ago (and who just turned 10 last week - be still my aching heart! 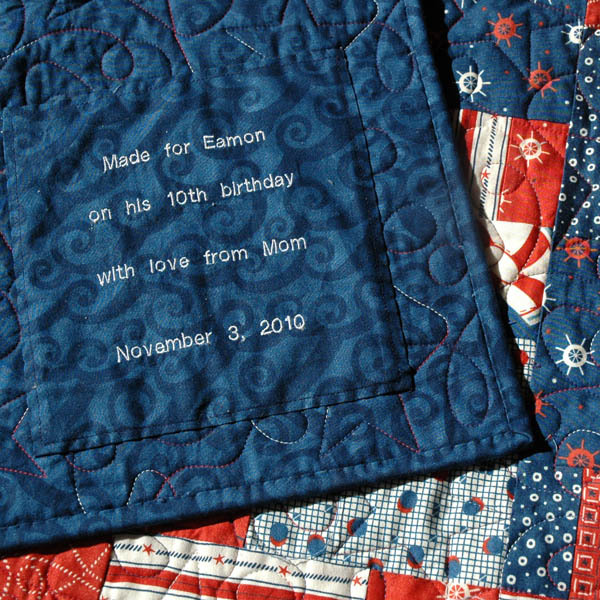 ), claims that I have made many more quilts appropriate for his sister's room than for his. 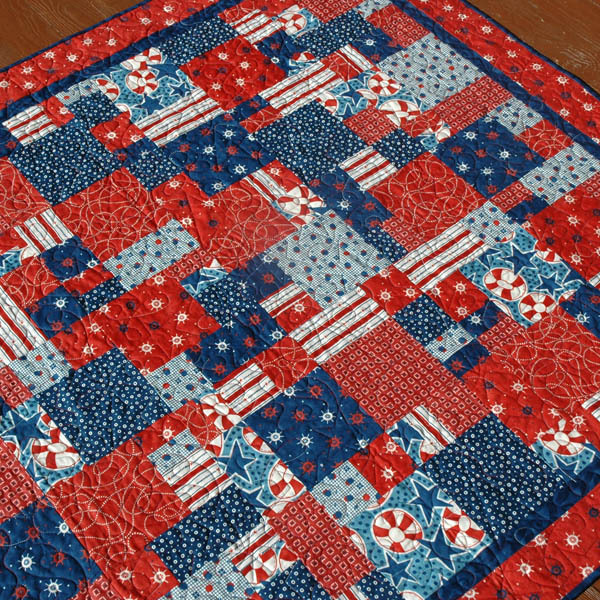 To rectify this I made a patriotic quilt for Uncle Sam. Conventiently, it also functions as an office because Uncle Sam prefers to do all his schoolwork on the floor. He actually would love to put the quilt under the table to create a "man-cave" but has given up trying to fight his sister's and my feet for airspace. My mom staking her claim on this one. I may have to make two because I don't know if I can let it go. I am also partial to boy quilts! BTW-I love your quilt labels. How do you make them? Boy quilts... something to think about for a future collection. Regarding labels - I must confess I don't make them - my 12 year old does. I have a very basic embroidery machine (saving for a Bernina, but it will be awhile) and you can type in three sizes of letters. After she is done, then I fold under the edges 1/4" and topstitch along the edge. 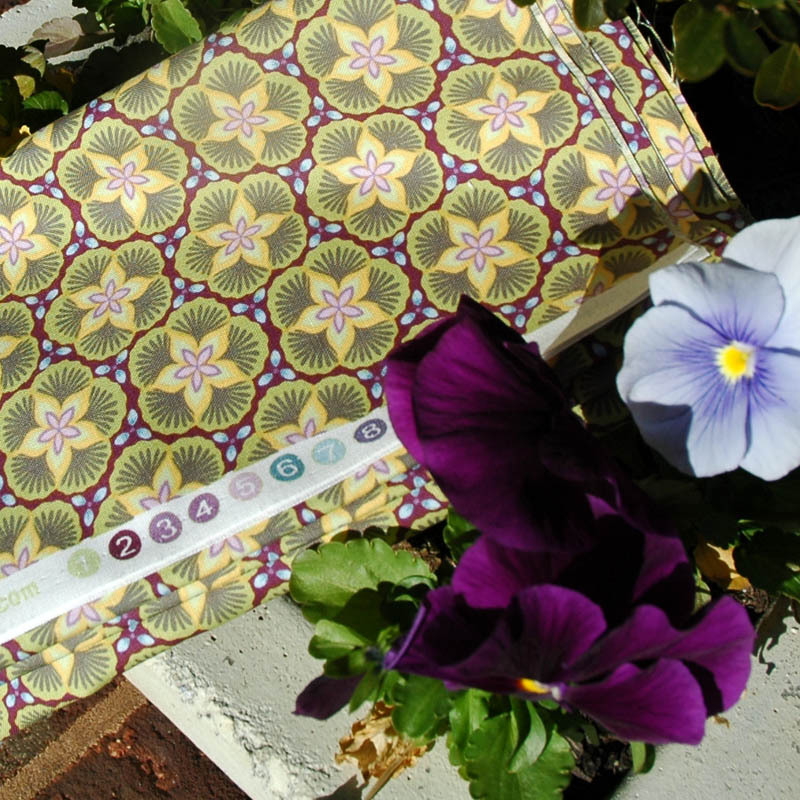 But you could mark fabric in pencil and hand stitch over the top using a stem or chain stitch - it would be pretty! To Market, to Market, to buy... Swiss Chocolate!